Angry Koala Gear: SDCC 2013: The Ghost Within Us Show and Signings from Beefy & Co.
SDCC 2013: The Ghost Within Us Show and Signings from Beefy & Co.
Beefy & Co. is bringing it big once again with another amazing custom toy show, this time at 2013 San Diego Comic Con show. Beefy first brought the So Badass, It's Good Show to WonderCon this past March that featured many amazing artists using their Bad Bad Buddha. If you had the chance to see Beefy & Co.'s booth you would have seen many amazing pieces created by very talented artists. Beefy & Co. are bringing their second custom show to SDCC, "The Ghost Within Us" Show to their booth #5646. 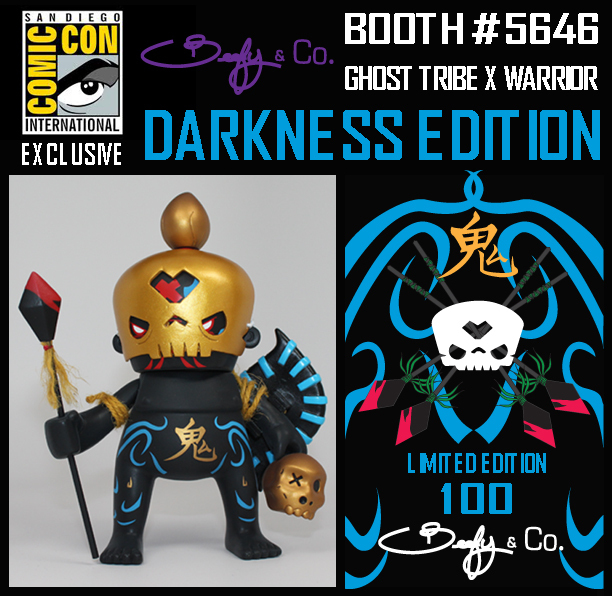 What: A group exhibition of custom Ghost Tribe Warrior figures, which is our second vinyl figure that we have released. We have 39 participating Artist for this show. Title of the Show: "The Ghost Within Us"
Here are a few teaser images of what will be on display and available to purchase! 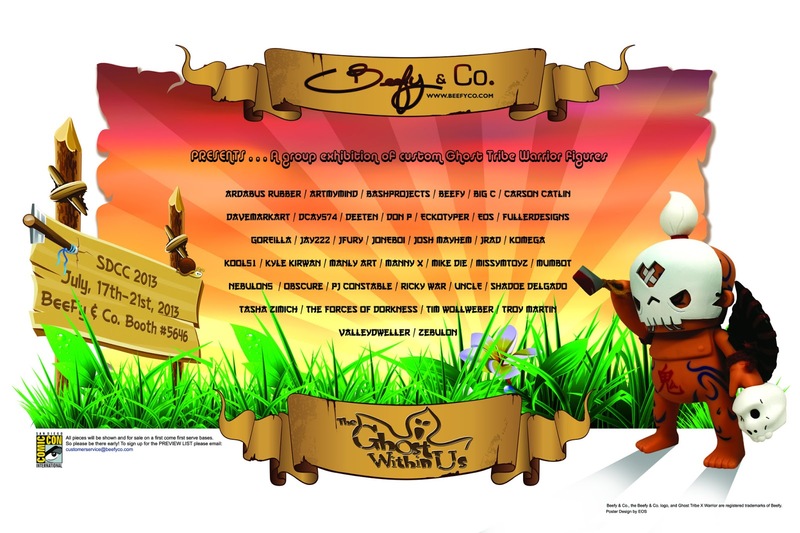 Beefy & Co. will also be hosting a signing with 10 of the featured artists from The Ghost Within Us show. *Each artist will have some SDCC Exclusives of their own for sale during their signing! So folks should not miss out this opportunity to meet these amazing artists and pick up some rare SDCC Exclusives from them. Beefy & Co. will also be releasing a SDCC exclusive. *Bonus - I will be inserting hand sketch cards into random boxes of these figures! 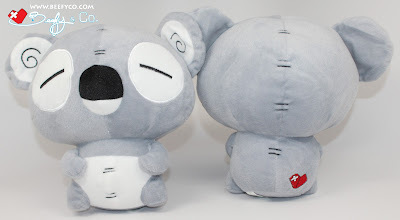 Beefy & Co. will be releasing their 4th Plush figure from the "Adventures of Ryupoo" Collection and this is one the Angry Koala Gear crew will need to purchase! Beefy is definitely bringing it big at SDCC, but there will also be big Surprise Sneak Peek's that will be displayed at their Booth! So make sure to stop by and check it out! The Angry Koala Gear has to thank Beefy once again for inviting our very own Matt Perez aka Obscure to The Ghost Within Us show! Be on the lookout for our coverage at San Diego Comic Con!